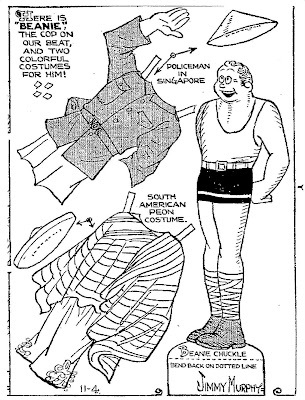 Two paper dolls from the comic strip "Toots and Casper". 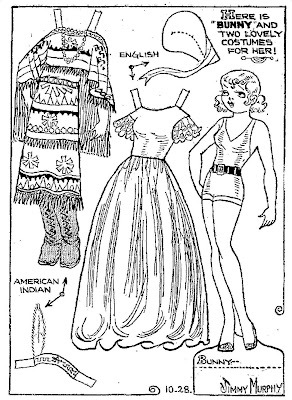 The Bunny paper doll appeared in the Sunday comics on October 28, 1934 and the Beanie Chuckle paper doll appeared on November 04, 1934. Jimmy Murphy was the comic strip artist.